Non-cancerous (benign) lumps are very common but can look similar to a sarcoma. For this reason a patient may have to see several doctors and have several tests to get a diagnosis. Imaging tests – taking a picture of the lump and having it looked at by an expert (radiologist). 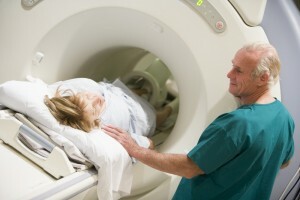 Imaging tests can be ultrasound, x-rays, CT scan or MRI scans. Surgery is the main treatment for sarcomas. However radiotherapy, chemotherapy and biological therapy can also be used to treat sarcoma. If radiation and/or chemotherapy is to be used, these may be given before or after surgery and a number of different doctors may be involved in your care. Sarcomas are best managed by a specialist multidisciplinary team, which includes a surgical oncologist, a radiation oncologist, a medical oncologist, a pathologist and a radiologist.